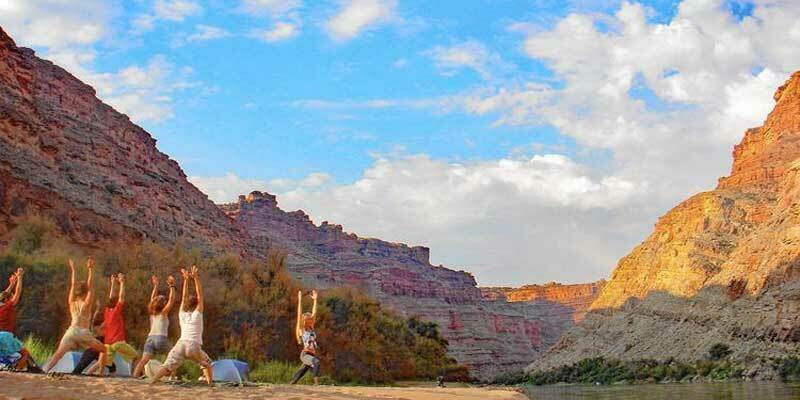 There isn't a better yoga studio for a women's river rafting trip than Lodore Canyon in the heart of Dinosaur National Monument. Cradled between two steep and beautiful canyon walls, this section of the Green River winds through the Unita Mountains and features some of the best beaches in the West! These picturesque refuges are ideal places to make camp, practice yoga, and restore your inner balance. Let our expert river-guides-turned-chefs prepare your meals to keep your body and mind fueled for this holistic retreat. While this women-only river rafting trip provides a comfortable environment in which to explore your practice, it still includes quite a bit of adrenaline in the way of world class whitewater rapids! We also bring inflatable kayaks for some solo adventure. Each day encounter new and thrilling challenges as you learn to move in time with the river and with your own personal currents. You'll be joined on this trip by Salt Lake City Yoga Instructor Katie Woods. Katie Woods, MS, ATC, WEMT, RYT200 Katie completed her 200-hour registered yoga teacher (RYT) certification with Yoga Assets and strives to promote the company’s mission: “Teach Yoga Everywhere.” She originally sought a yoga teacher certification to supplement her role as an athletic trainer, but (as usual) the universe had bigger plans. Fully invested in the ALL the benefits of yoga, she continues to write her story to focus on spreading yoga to Salt Lake with hopes of it expanding throughout rest of the state, the country, and our world. 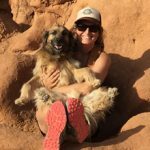 She will complete her RYT-500 in December 2017 with a group project focused on creating a yoga mindfulness and movement curriculum to offer to educators serving within the Utah school system. Additional dates can be scheduled with 10 or more people. The Green River cuts like a knife through Lodore Canyon from the top of Dinosaur National Monument through its heart. At the confluence with the Yampa River, this trip takes you through Echo Park and Whirlpool Canyon before floating you into Island Park. Hold on tight for the last eight miles of whitewater through the center of a mountain before reaching the Split Mountain takeout. Our itineraries can vary - it's never boring out there! Weather, the interests of our passengers, and assigned campsites mean that every trip is unique. 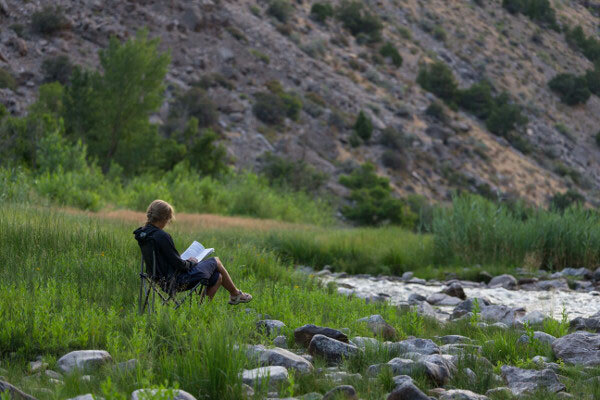 Here's a sample itinerary for a possible four-day trip through Lodore Canyon. Day 1: We meet at Holiday headquarters in Vernal, Utah at 7:00 a.m., Mountain Time. We'll give you waterproof bags, show you how to pack them, and give you time to shop for last minute items from our store (be sure to see our packing checklist for items we carry). Then, into the vans. It's a three-hour ride through rolling sagebrush and mountain landscape to Brown's Park National Wildlife Refuge and the put-in. 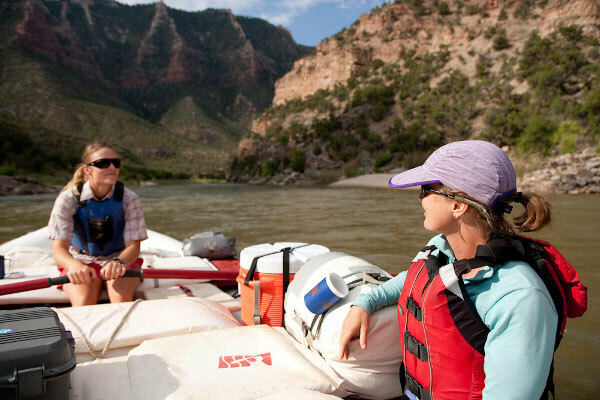 After loading the boats, we'll float through the Gates of Lodore, search out a lunch spot, and row downstream to our camp, deeper into the red, billion-year-old rocks of the canyon. Ease into your first night of camping with a gentle sunset stretching session. Day 2: We are now deep inside the Uinta Mountains. Your guide might ask you to consider why the river has cut through the mountains instead of flowing around: a geological puzzle to pass the time. Your yoga instructor might invite you to salute the sun as it begins to descend the canyon walls. Today we will run the most technically challenging rapids of the trip, including Hell's Half Mile. An afternoon hike to a dramatic overlook at Alcove Draw will help you work up an appetite for fajita night. 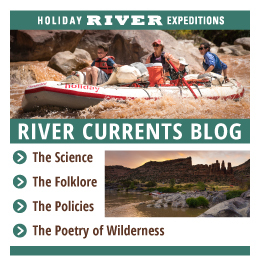 Day 3: We'll float out of Lodore Canyon and into Echo Park, where the Yampa River flows into the Green and you can test the different temperatures of the free-flowing Yampa and the dam-controlled Green. Swim in the calm water around Steamboat Rock and then prepare for more rapids as we enter Whirlpool Canyon. 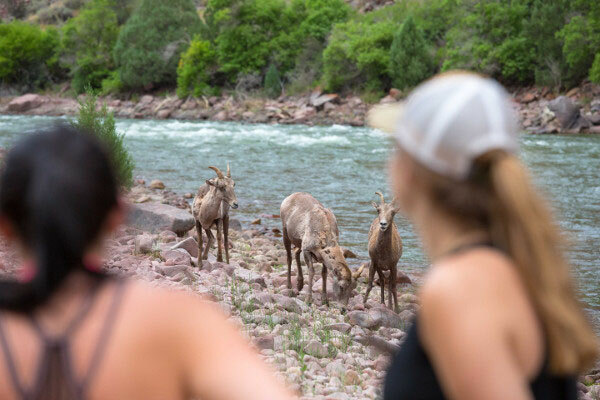 Spend the afternoon hiking, yoga-ing, meditating, fishing, or big horn sheep–spotting at Jones Hole, a riparian gem in the middle of the arid landscape. Day 4: The last morning may include a silent, meditative float on the flat water of Island and Rainbow parks. Raptors can often be seen perched in the giant cottonwood trees on the island beaches. Split Mountain looms on the horizon, our last taste of adrenaline before the take-out. We'll have lunch and enjoy another hour of precious river time before arriving at the boat ramp and loading up for the 35-minute ride back to Vernal. We typically arrive at our headquarters at approximately 4:00 p.m. Please keep in mind that this is a sample itinerary and not an exact description of your trip. The intent is to give a general idea of what your trip may entail. Rest assured, if you're not doing these things, it's because you're doing other amazing things! It's why our motto is "Go With the Flow"!